i Still write: An effort to get organized? An effort to get organized? I am "trying" to get my office in some sort of sorted chaos of late. One of my issues is tracking my in/outgoing mail. Yea, yea and those pesky monthly reminders I now own a home. With that, while I was attending this years "what more crap can I bring home" show I sought out a vendor I have been eyeing for YEARS. This would be the NEAT company. I don't know if many of you are familiar with their products. They basically have 2 different types of scanners. The NEAT Receipt. This unit is self powered (USB) and highly portable. However only does simplex scanning (one sided). The other is the NEAT Desk. This is the one I bought. See that tray there with the different sizes. It's setup for letter, receipts and business cards. 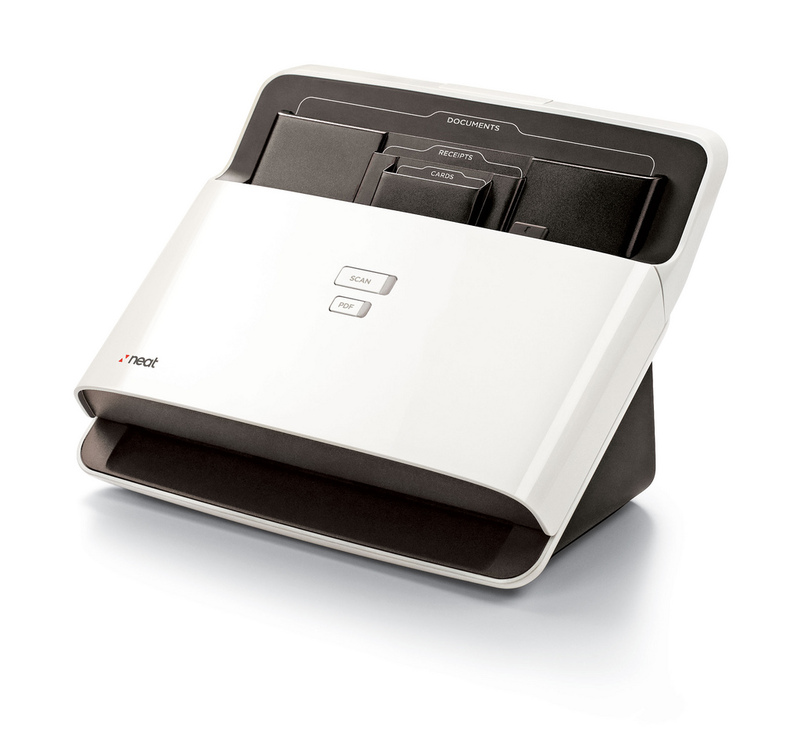 It does duplex scanning at 24 pages a minute. The tray comes out to scan up to 50 pages at a time. I went with big brother mainly because I really didn't see where I would be hauling a scanner around with me in the first place and I like the sheet/duplex ability. The real kicker though is the software that comes with it. I could have bought the software separately, but it only works with a few high end scanners and this was a more economical solution. The software reads ALL of the data on a page and organizes the documents for you. Now one of the MAIN reasons I bought this thing is I can now scan all of my mail. In and out to keep track of conversations AND be able to read them on my iPad when I'm out so I'm not carrying all of the mail I'm responding to in my bag. I am always afraid of loosing something (nothing yet and I don't want there to be a first time). This thing will also handle card stock :) I can even scan my postcards! So it arrives tomorrow. I have 30 days to run it through it's paces and believe me I will..
Now on to fun stuff. You remember that little thing I wrote about last week? Crapfest? Well I have a chance to get back to San Francisco next weekend for another trade show. IF (big if), I manage to be able to go and gather more crap, I will be adding it to the pile for distribution. The show is the San Francisco International Gift and Decor Show. So keep hoping I can afford to get out of town next weekend.. 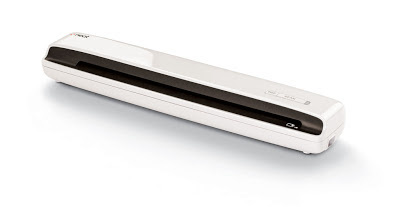 I've been thinking about the Neat receipt scanner for a couple of years. I should just go get it. Well, that looks like a neat scanner! I wouldn't know how often I'd need to scan 24 pages a minute, but then again, sometimes you do need to scan a whole lot of documents and then this would come in handy. Does the software automatically recognize the type of item you are scanning and sort it accordingly, or do you have to manually sort them afterward? OK, experiences so far. Keith. You have to sort after words, but it does recognize anything with financial totals as a receipt. tested on various invoices and store receipts and so far pretty consistent. Letter scanning is pretty good as well. Printed letters get the OCR treatment and getting decent results although for me not needed. One issue noted so far is most of my letters are in A5 format. there are no guides on this scanner. Letter works perfectly but by me just guiding with my fingers on each side - no problem. Worth the hassle for me and not worth sending it back for that. I'll do a follow up post next week with some screen shots showing my organizing practice. You know there is another option. I take a digital pic of letters/cards/pics. It works fine actually. A Call to Hearts Pt2. And the Man in Black returns..